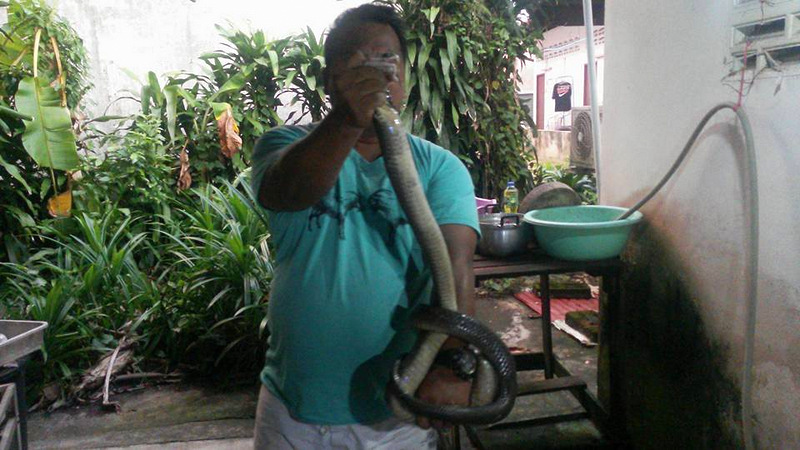 PHUKET: Rescue workers from the Phuket Ruamjai Rescue Foundation captured with their bare hands a cobra measuring 1.5 meters long at a house in Chalong yesterday evening (Dec 26). The rescue foundation’s chief, Sayan Thammaphan, was called to he house, in Soi Pramote near Chalong Circle, at 5pm. 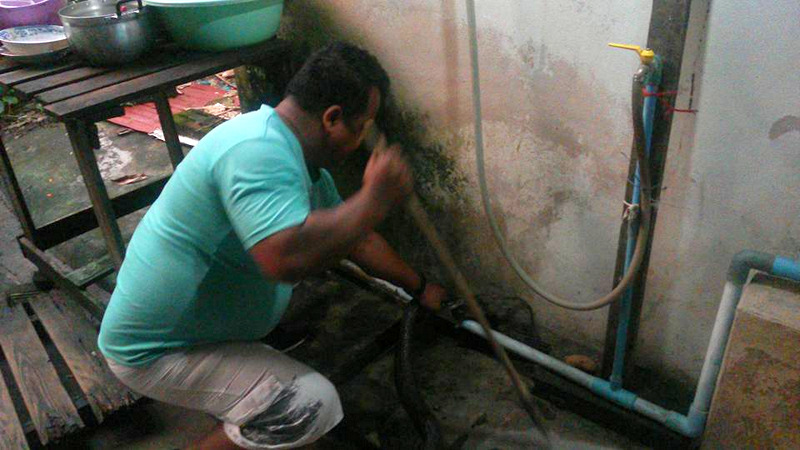 “The woman called us after she saw the cobra outside the house near where she washes her dishes,” Mr Sayan explained. 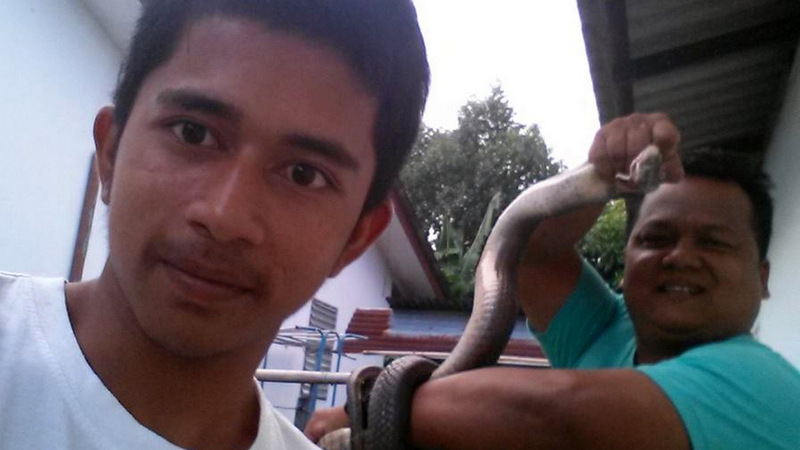 Mr Sayan had the cobra in hand within minutes after arriving at the home. The snake was 1.5 metres long and weighed about two kilograms, he said. 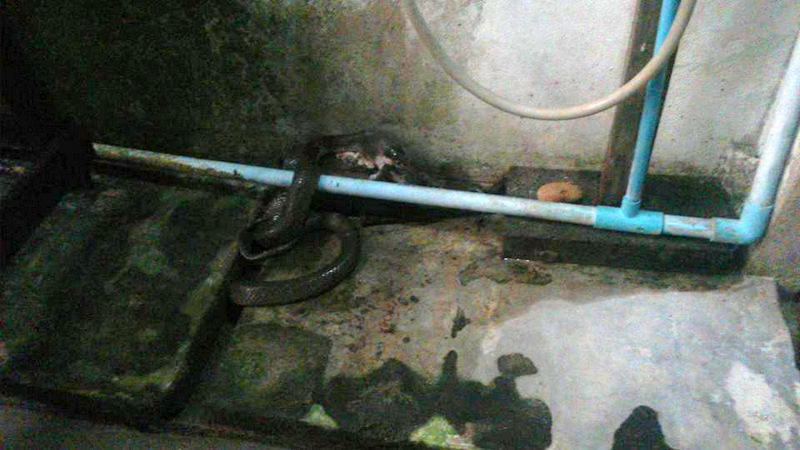 “It was easy to catch because it was still trying to swallow a rat,” Mr Sayan said. “We will take the snake into the Nakkerd Hills (between Chalong and Kata-Karon) and it release it into the wild there,” he added. Mr Sayan urged people not experienced in handling snakes not to attempt to catch snakes found in or around their homes by themselves. “Anyone who wants my help call just call me at 081-3670537,” Mr Sayan said. Note: The Phuket Ruamjai Rescue Foundation is based on Soi Ta-iad in Chalong, and mainly operates in the Chalong area.